Less than a week ago, Nanci and I returned from a two-week ministry trip to Cuba and Bermuda. I asked for prayer for the trip in my blog, so here’s my report. While in Cuba we were able to travel with a team from ACTION Cuba, a great organization that Eternal Perspective Ministries has supported over the years. It’s amazing what God is doing in this country. (The days without phone and Internet there reminded me of what normal life used to be!) We met many Christ-followers. We rode around in old cars and saw on the streets many classic pre-1960 cars, before the embargo, still in working condition due to the hard work and ingenuity of the Cuban people. 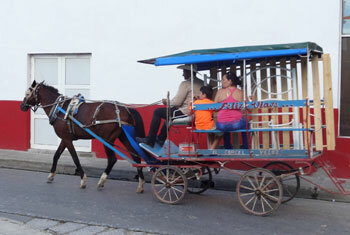 One day we caught a horse-driven taxi to go into the city. Right when we thought no one else could fit on, they kept adding people. It was a fun adventure, and the people were wonderful. When I spoke at a training gathering for pastors, during a break I was taken upstairs to meet with the professors of the Bible college. We were in a room that was also their library, consisting perhaps of a few hundred books. I asked how we could help them get more books, and hopefully that will happen. The international body of Christ is beautiful. I haven't been hugged and kissed by so many “strangers” for many years, most of them precious brothers and sisters in Jesus. 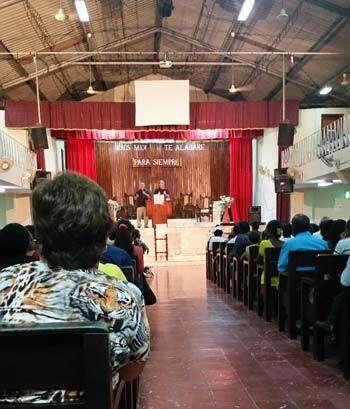 After I spoke in the church, the pastor asked me, on behalf of the churches of Cuba, to greet the body of Christ in the U.S.A. I do that now. 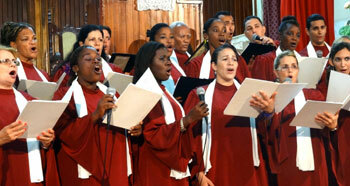 The churches in Cuba have spiritual strength that has come through adversity. Their lives aren’t easy, and the standard of living in the country isn’t high. It’s a land rich in resources and potential, but that potential hasn’t been reached. Please pray for the people of Cuba, and especially for the churches. In Bermuda, I had the privilege of speaking at Cornerstone Bible Church, a wonderful fellowship of God’s people. My Saturday seminar on what the Bible says about money and possessions was rescheduled for Tuesday night due to Hurricane Karl hitting the island early Saturday morning. Fortunately it was downgraded to Tropical Storm Karl and wasn’t very eventful. 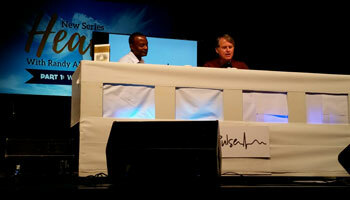 On Sunday I joined the church and was interviewed by their pastor, Gary Simons, on Heaven and the New Earth. We turned to different Scriptures and had a great time worshipping Christ. It’s a vibrant church that meets in a school. If you visit Bermuda, I encourage you to attend. 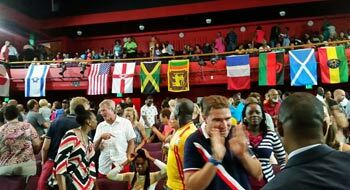 Cornerstone has something like 36 different flags hanging in the auditorium each Sunday to signify all the nations represented in their church family. At one point in the message I was asked if we would speak different languages in Heaven. I said we would likely speak our heart language from earth, but then maybe speak a trade language. I used the example of Swahili being a trade language of the nation of Kenya, known by many tribes, and mentioned as an example the specific language of one tribe, the Kikuyu people. Suddenly a couple in the church responded audibly. It turns out they were Kikuyu! Yet another man, as I was signing books after the service, came up and said “I am Kikuyu too!” It meant a lot to them that I had called their tribe out by name. I’d never done that in a message before, so I knew the Holy Spirit was behind it. Finally, not really changing the subject of God’s great work, but looking at a different aspect of it, I went snorkeling in both Cuba and Bermuda. Here are a few of the hundreds of photos I took of God’s fascinating underwater world. 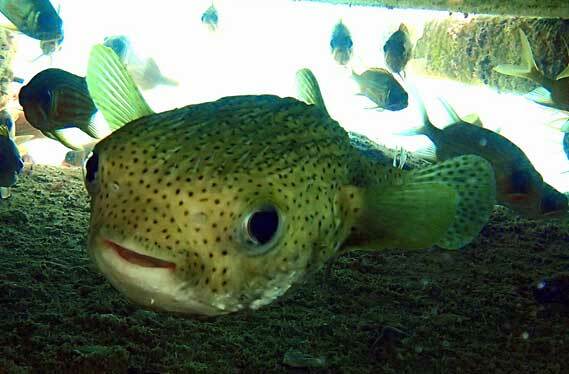 Also weird, but more common and considerably cuter, is this puffer or porcupine fish I photographed while it was hiding under a dock. 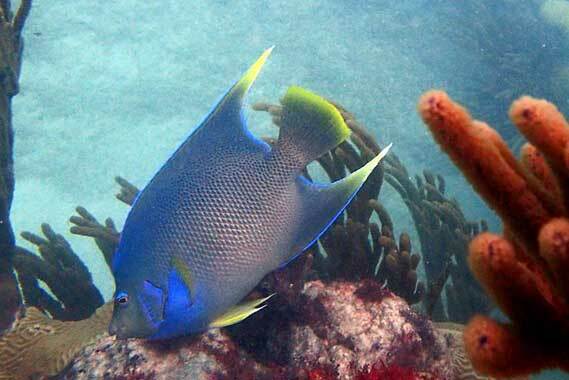 In Bermuda, this angel fish was one of my favorites. The reef there is breathtakingly beautiful. 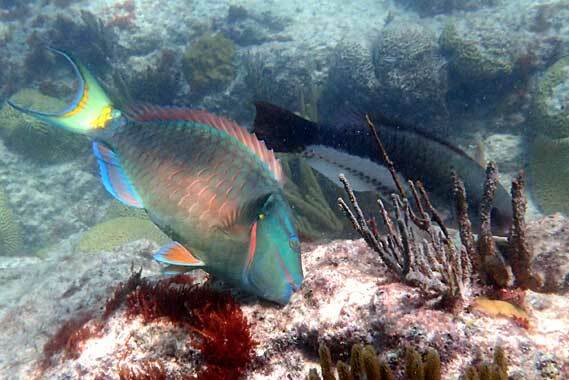 Below it is a colorful parrotfish, about three feet long, and its companion munching on the coral. Many thanks for your prayers and partnership in the Gospel! Lord willing, this Thursday, September 15, Nanci and I leave for a two-week trip to Cuba and Bermuda. We would appreciate your prayers for smooth flights and customs, as well as for avoiding hurricanes (it’s hurricane season both in Cuba and Bermuda). I’d also appreciate prayer for health and stamina, and for divine appointments for Nanci and me both as we minister to those we meet.